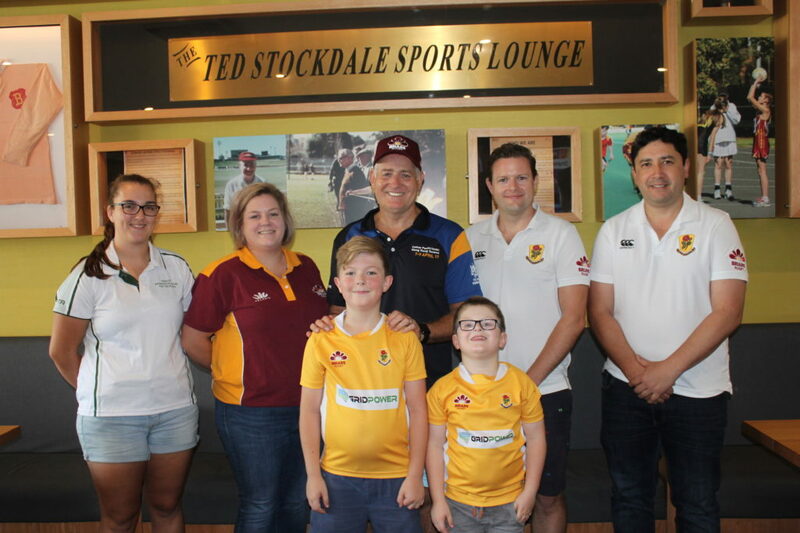 John Slender, Chairman of Briars Rugby, one of Sydney’s oldest suburban rugby clubs, announced today the appointment of David Campese as the club’s new Head of Coaching for 2019. “It will be great to have David heading up our coaching team. His experience and great passion for rugby will be much appreciated by the players. We are also hoping that having him at Briars will attract more players to the club, although, unlike many other clubs, we have had plenty of players and strong turn-ups at training last season,” explained John. David Campese (Campo) is a former Australian rugby union player and sporting icon, who entertained and thrilled fans around the world as one of the world’s most recognisable rugby players. He has also been an outspoken commentator of the game and the way it is run. “David has a strong passion to support grass roots rugby. At Briars he intends to focus on developing fundamental skills with attention to technique, understanding and practice. He aims to help the players and teams to play with skill, speed and imagination—the way he used to play. What people also need to remember is, that for all his natural flair, Campo, was one of the hardest training players of his era, which started in the days before rugby was professional, and we want to bring back that discipline,” explained John. Campo played his first game for the Wallabies at 19 years old against the All Blacks in Christchurch in 1982 and his last test against Wales in Cardiff in 1996. During his career Australia were the leading rugby nation in the world, winning the Rugby World Cup in 1991, the Bledisloe Cup in 1986, 1992, and 1994 (the Bledisloe Cup is awarded to the winner of the annual Australia versus New Zealand test series). Campo played on the wing in what could be considered the best backline Australia has ever had, with Mark Ella at number 10. He was the first Australian to play 101 rugby tests and at the time was one of only five players in the world that had played over 100 games for their country. Now in the fully professional era there are a lot more matches. Briars Rugby is part of Briars Sports, a multi-sport club based in Concord, in Sydney’s Inner West, that last year celebrated its centenary. Formed in 1918 by a group of teenage boys to play cricket, athletics and soon after rugby, by the 1920s it was a strong rugby club that had several of its players capped for the Wallabies. They play in the Sydney-based New South Wales Suburban Rugby Union competition. Briars Rugby currently fields three senior sides, under 21’s, women’s sevens and six juniors sides. 2 Replies to "ANNOUNCEMENT: "Campo" to coach Briars Rugby in 2019"
What a coup.Don’t know how you achieved this Johnny S don’t need to know. Anybody who has seen the set-up at Concord and has met any of its sports participants will tell you that Briars is destined for greatness, My long association as a spectator and later as a team manager developed into a love affair with the Club. I have been a Melbourne resident for about 40 years but still miss the camaraderie and the ability to pop into the Club for a frothy after work, but, I will be back for another visit as soon as I can arrange. coaching. Go well guys and girls. I will continue to keep up with results and other goings on from down here.